September 2010 will be a busy month for Hartlepool Wadokai with lots of new projects starting up. This is in addition to our regular 20 hour’s of classes per week. We’re restarting our Reception Karate Classes at West Park Primary School. We ran these last year and they were very popular with the school and the kids, a number of them transferred to our main club once they were old enough. This is one hour a week, (2x 30min classes) teaching 3-5 year olds FUNdamentals incorporating basic Karate movements and some work on soft focus pads. This is a great way to introduce the kids to the ‘rules’ of learning Karate. Our new Women’s Self Defence & Fitness Classes start up with a pilot this month too. This class is already fully booked and we even have a waiting list! This pilot is being funded by the Hartlepool Borough Council’s Sports Development team because our club development plan mirrors a lot of the local authorities targets. Finally, we’ve got some Workplace Health Fitness/Self Defence sessions running. These are also funded by the local council and the sessions will be targeting council staff including the Primary Care Trust/NHS & Fire brigade staff. These sessions will be run during lunch breaks at central locations making them accessible to council staff. If you’d like any further information about these sessions, then please contact me on 07984 798634 or via email carl at hartlepoolwadokai dot com (spelled out to stop spam!). This walk is done every year to raise funds for the club-only championships which will this year be held on Sunday 17th October. To download your own sponsor form, please click here. This course is once again hosted by our friends at TASK and will be held in Stockton. 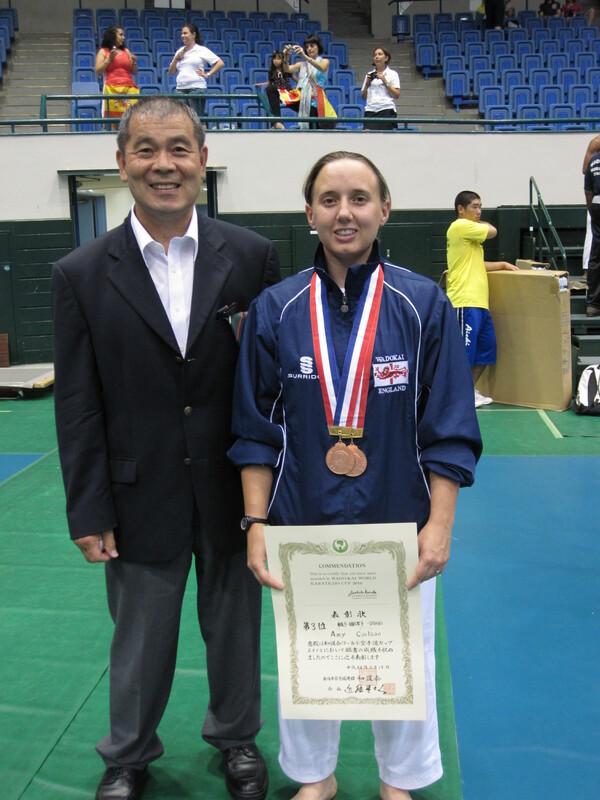 This is a great opportunity for students to train with one of the world’s most successful Karate competitors and the current English All-Styles National Coach. This course is run by Mr Paul Suggit (http://www.trainingfirstaiders.co.uk/) who works closely with the HM Coastguard. This course only has a few spaces left so please get in touch asap to book a place. Costs: Committee Members – FREE; Club Members – £15; Non-Members – £20, first come first served. There will also be a club grading once we’ve held an Instructors meeting to decide the date and venue. 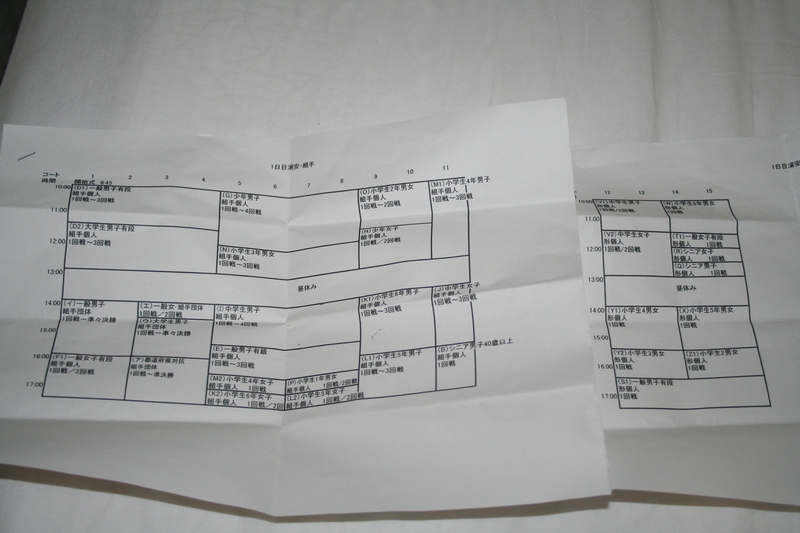 I’ve had a few emails asking for a list of the Japan Nationals Results for 2010. Most of the names were written in Kanji and my Japanese isn’t good enough to translate them. I took photos of the final results but when I checked them a few minutes ago, it looks like I may have missed some of the categories, and some of the pictures are blurry but they’re better than nothing. I’ve posted the pictures on my Facebook page (Carl Jorgeson) and I believe anyone can view the album. When I get chance, I’ll try to find out the full results and get them typed up. 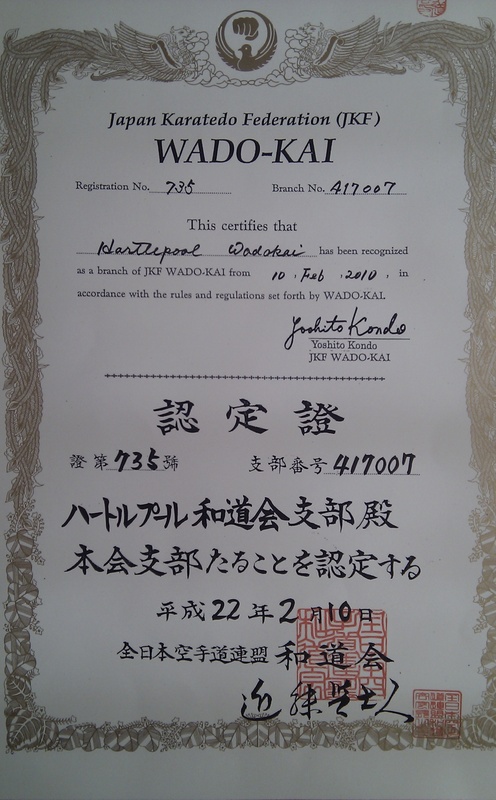 & Hartlepool Wadokai – our club! Tonight Amy and I took 15 of the Wadokai England entourage up to Sugito to train at Shiramizu with Takamasa Arakawa Sensei. We had to take the train in two waves because some of the guys were delayed getting to the hotel, I sent Amy on ahead and I brought the rest of them with me… By total chance, we all somehow ended up on EXACTLY the same train that pulled into KUKI station for the transfer on the Tobu line to WADO station. It was a scary sight, and one that has never been seen in the sleepy Sugito town before – 15 foreigners strutting along… all heading in the same direction, to the Shiramizu dojo. We turned up just in time for the start of class and we were all greated like old friends, and some bemused smiles before the guys quickly got changed for the start of the class. The dojo isn’t very big so I was pleased with the warm welcome that we received. I must admit, I was embarrassed taking so many people at one time since we effectively took over the dojo. 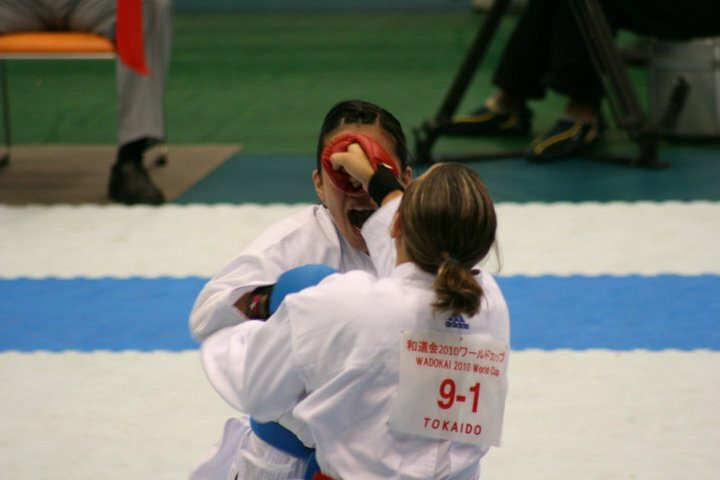 I’m still out of commission with my knee, so I got to compare the English with the Japanese, I must say that there wasn’t much in it between the cadet/juniors in the kata. It was a really good session, led entirely by Arakawa Sensei himself. I think Arakawa Sensei spent sometime ‘sizing up’ the various cadets & juniors during the basics and foot work drills – because let’s not forget, they’ll be competing against each other at the weekend. 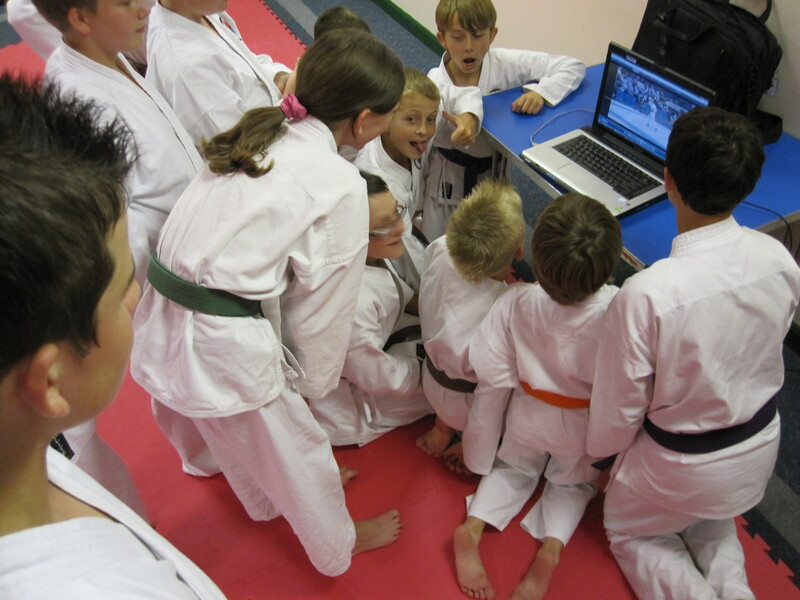 The session moved quickly onto Kata, with groups of students performing a number of kata at a time. This quickly becomes a mental endurance game due to the heat and humidity. All the students fed off each others energy and it was great to see our Kata guys performing on par with Shiramizu. The session finished with line / partner fight drills against a partner. Arakawa Sensei’ great sense of humour and friendliness came across instantly in the class and as usual everyone worked very hard, but had a great time doing it. The Shiramizu team didn’t want to be out done by the English and vice versa, so the atmosphere was great with everyone working that little bit harder. Sensei also had a chance to practise his English too. After the session everyone was presented with a special ‘Wado’ face towel and keyring, we took a couple of group shots and everyone hung about for a while practising their English and getting to know each others names. We them headed back to the station for an eventful trip back to Ikebukuro where I got to practise (and totally blag!) a number of conversations in Japanese with the station ticket masters. It should be noted that Jamie Jewell Sensei & all his group had only just got back from climbing Mount Fuji – the biggest and most famous mountain in Japan when we set off for the Dojo. No rest for the wicked! 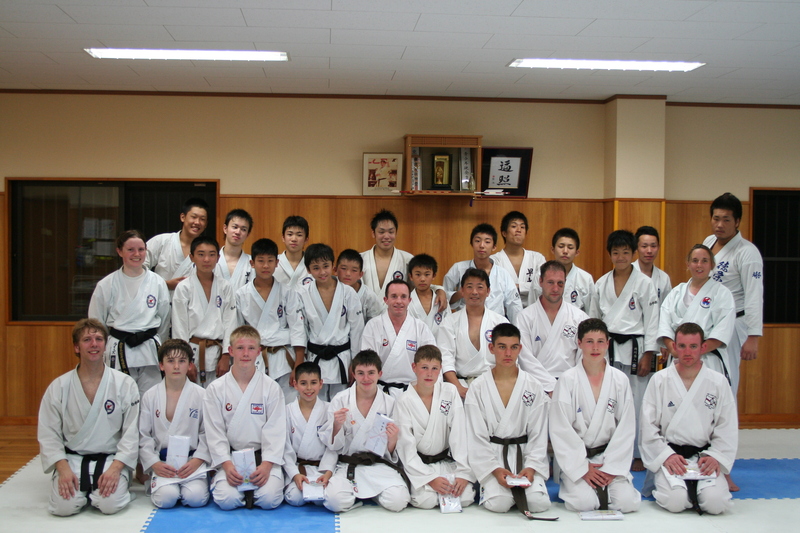 Thank you Arakawa Sensei and Shiramizu for letting us all train… we’ve all had a great time!